When I was younger, I managed to lose a good amount of weight. But as time went by, I gained what I had lost and more, today I find myself the heaviest I've ever been. Thankfully, I don't have any serious health problems and I want to lose weight before that changes. I'm tired of feeling like crap all the time. I will make this year a year of healthy changes and habits, developing things that I can easily use in my daily life. I am fortunate that my family supports me in all this. And I don't want to waste this kind of support. I want to be healthier so that if one day they need help, I'll be healthy enough to give my all! Since I was a kid, people have always ridiculed me for my run (I hated having to do this in PE class). It affects me to this day, if there is not something dangerous behind me, I will never run. As I get healthier, I want to improve the way I run. I want to be able to prove to myself that I don't have to be afraid to do something outside my comfort zone. Hi! When I was younger, I managed to lose a good amount of weight. But as time went by, I gained what I had lost and more, today I find myself the heaviest I've ever been. Thankfully, I don't have any serious health problems and I want to lose weight before that changes. I'm tired of feeling like crap all the time. 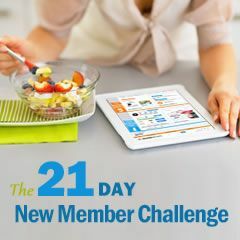 I will make this year a year of healthy changes and habits, developing things that I can easily use in my daily life. I am fortunate that my family supports me in all this. And I don't want to waste this kind of support. I want to be healthier so that if one day they need help, I'll be healthy enough to give my all!